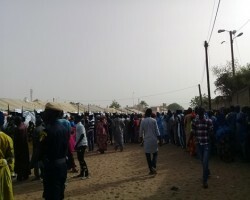 APA-Dakar (Senegal) By Edouard Touré — Polling which opened in Senegal at 08:00 local time for Sunday’s presidential election officially closed at 1800 in several localities across the country with the counting of votes already underway. 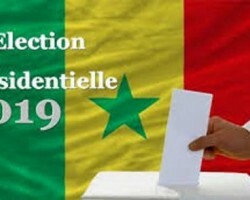 APA-Beijing (By Ebrima Jallow in China) — Senegalese living in China who have been taking part in Sunday’s presidential election in their country have voted in favour of President Macky Sall. 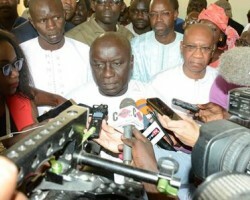 APA-Tattaguine (Senegal) Special Correspondent: Cheikh Diop — The leader of Senegal's PUR 100 coalition, El Hadj Issa Sall has made a swipe at what he called improper voter transfers during Sunday’s presidential election in his native town of Tattaguine where he cast his vote. 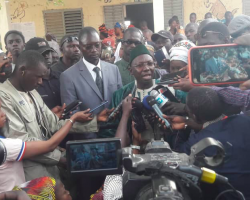 APA-Touba (Senegal) Special Envoy: Abdourahmane Diallo — There has been a large voter turnout in Senegal’s religious city of Touba, where people have been flocking to polling stations to cast their vote in Sunday’s presidential election, APA reports. 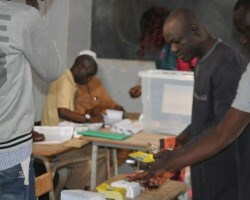 APA-Thies (Senegal) Special Correspondents: Ibrahima Dione et Assane Gueye — Senegal’s presidential candidate Idrissa Seck has cast his vote at the Malick Kaïre Diaw school, in the municipality of Thies, saying it was now up to the Senegalese people to "freely express" their choice and elect a president for the next five years. 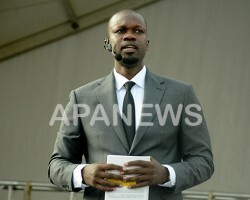 APA-Ziguinchor (Senegal) By Abdoulaye Thiam — Ousmane Sonko, a candidate in Senegal’s presidential election on Sunday has expressed delight for being able to cast his ballot in Ziguinchor, calling for an incontrovertible winner. 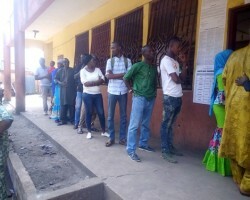 APA-Conakry (Guinea) By Sadjo Diallo — A total of 2,981 Senegalese residing in Guinea are expected to vote in 11 polling stations as part of Sunday’s presidential election in neighbouring Senegal.